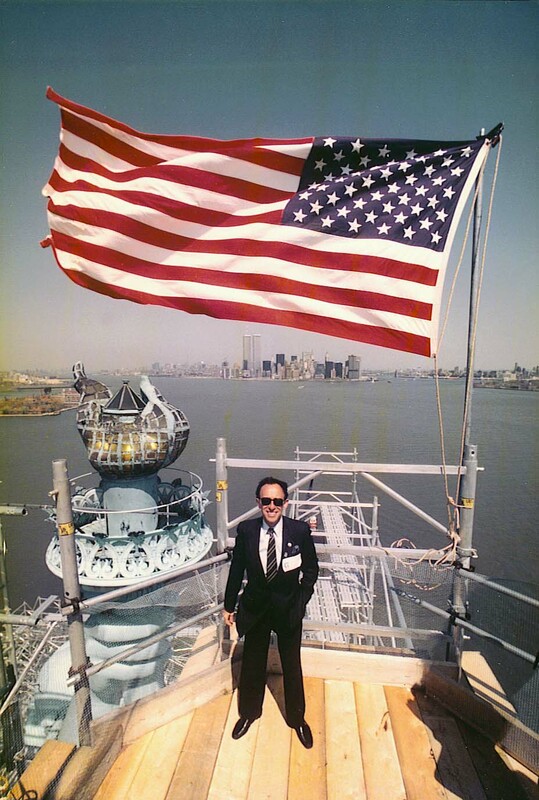 Atop the Statue of Liberty on a construction platform during the repair of the torch with the World Trade Center in the background. Norman Liss, principal of NORMAN LISS, ATTORNEYS-AT-LAW, P.C. Representing individuals and companies in transactional matters and litigation, including commercial and serious personal injury matters. The firm has over 70 years of legal expertise in civil and criminal practice in a variety of areas, ranging from real estate, estate and probate, matrimonial and business development.